SCOUTS South Africa is an independent, non-profit educational movement dedicated to the development of young people in achieving their full potential as individuals and responsible citizens. Central in this programme is a continuous transference of values such as honesty, loyalty, responsibility, respect; all aimed at governing individual behaviour and the development of strong leadership skills that will equip members to be of service to others and to their communities. 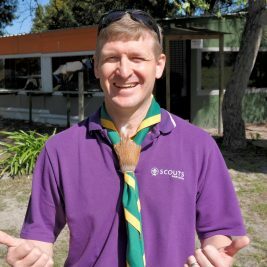 SCOUTS South Africa is a member of the World Organisation of Scout Movements, WOSM. 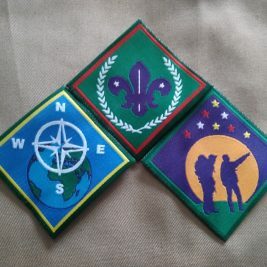 Scouting in South Africa was established in 1908 in Mafikeng. The Scouting activities are co-ordinated and facilitated by thousands of dedicated volunteer Adult Leaders nationwide. Groups Scouting is run in local Groups, which may be made up of units of each branch, for example, a Cub Pack, a Scout Troop and a Rover Crew. Groups are run by volunteer adult leaders and parents. The volunteer leaders, known as Scouters, run a programme of weekly meetings, camps and other activities. Districts Scout Groups form local Districts which are coordinated by a volunteer District Commissioner and assistants. Regions SCOUTS South Africa is divided into regions as per the official provinces of the country. The North West Region is run by Regional Commissioner Thabiso Majola and his team of volunteers. There are hundreds of Scouting members throughout the the North West who indulge in their love for the outdoors, experience fantastic adventures, acquire skills that will help them be prepared for any challenge and make lifelong friendships. Nationally, SCOUTS South Africa is a registered non-profit organisation with a Governing Board. The daily management is administered by an Executive Committee, the Chief Scout and Chief Commissioner and Chief Executive Officer. They are assisted by several National Commissioners and Committees. The National Office consists of the Chief Executive Officer and a small number of paid staff.